It’s hard to imagine a place where charity thrives but Al Capone would still feel at home, yet Evergreen has managed it. 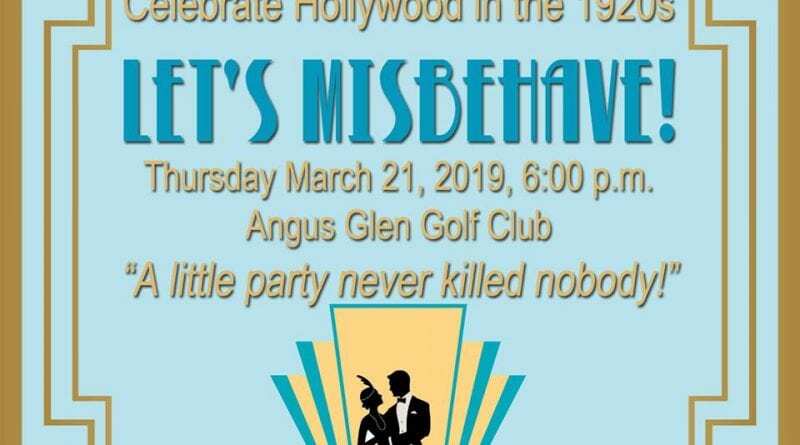 The Markham-based hospice and support centre is striking that balance with its upcoming Let’s Misbehave gala, a swanky fundraiser with a 1920s Hollywood air. It’s quite the contrast from last year’s Greek islands theme, but that variety is what makes the event worth coming back to, according to Lerryn Pitcher, Evergreen counsellor and the event’s lead organizer. 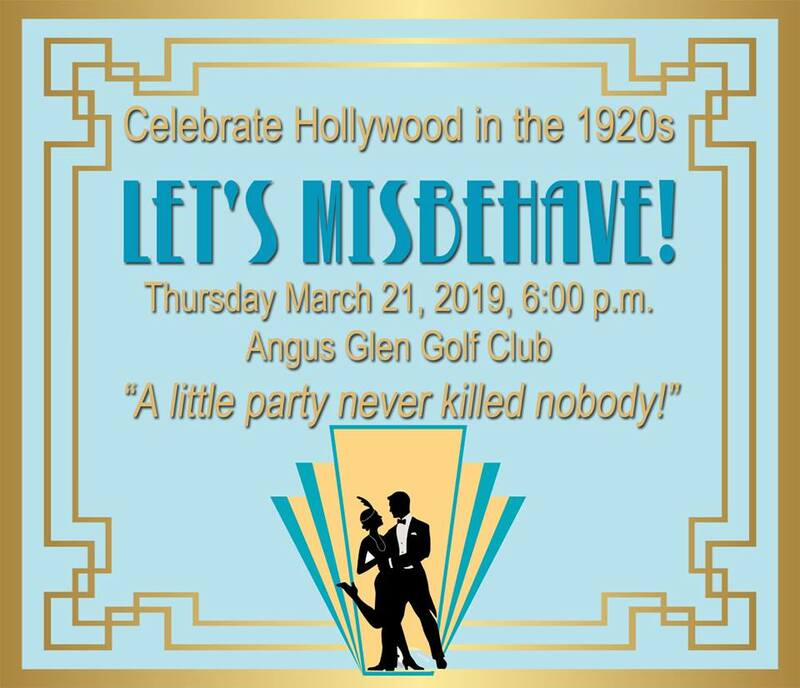 From drinks served in prohibition-esque mason jars to performances of the Charleston, you’ll feel like you went back a century when you walk through the doors of the Angus Glen Golf Club on March 21. Don’t be surprised if you wind up in the Flapper’s Lounge, perhaps enjoying the event’s signature cocktail, called the Bee’s Knees. Capone’s Hideaway is even rumoured to be nearby, as well as an underground casino (just for fun, so the fuzz needn’t worry). And make sure to look both ways when you head down Machine Gun Alley to peruse the silent auction items. Though dressing up isn’t required, Pitcher said the 300 expected to attend should feel free to come as flappers, gangsters or, perhaps, stars of the screen. While fun is certainly high on the priority list, the event is the biggest fundraiser on the calendar each year for Evergreen, which offers community-based supports to those with life-threatening illnesses, their caregivers and those grieving the loss of a loved one. While Evergreen does receive some government funding, its team has to make up about 70 per cent of the hospice’s operating budget through private donations, which includes proceeds from the gala. Making the gala such an enjoyable evening is part of what keeps people coming out, but Pitcher also said Markhamites have a heart for the work Evergreen does. The free, six-week course aims to give caregivers of loved ones with life-threatening illnesses the tools and confidence to navigate the journey that’s fraught with emotional and logistical challenges. Evergreen also programs for those dealing with bereavement and women battling cancer, among others. Visit evgcares.org for more details.